If you’re looking for something new to make on the grill, you’re going to love this! All the lemony, garlicky flavors I love in a scampi, but lighter because there’s no butter and just a touch of olive oil. 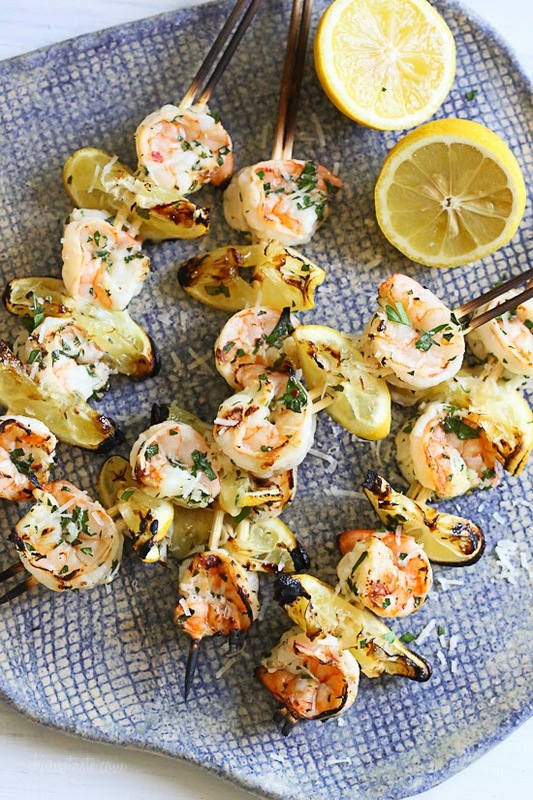 After I grill them, I squeeze more lemon over them and top them with a little fresh grated parmesan – SO good! I put lemon slices in between the shrimp for presentation but it’s totally optional. 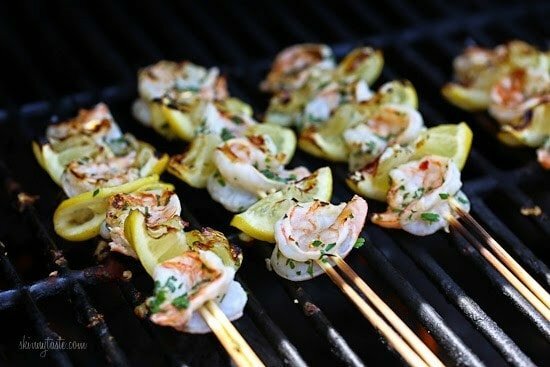 If you plan on doing this, it’s best to double up on the skewers so the lemon and shrimp doesn’t rotate around the stick when you’re grilling. I actually forgot to do this and added the second stick after so it’s not as spaced as I would have liked the sticks to be. Hope you enjoy! In a large bowl combine the olive oil, juice from 1 1/2 lemons, parsley, garlic and crushed red pepper flakes. Stir then add shrimp, tossing to coat. Marinate for 20 to 25 minutes. Preheat a gas grill over high heat. 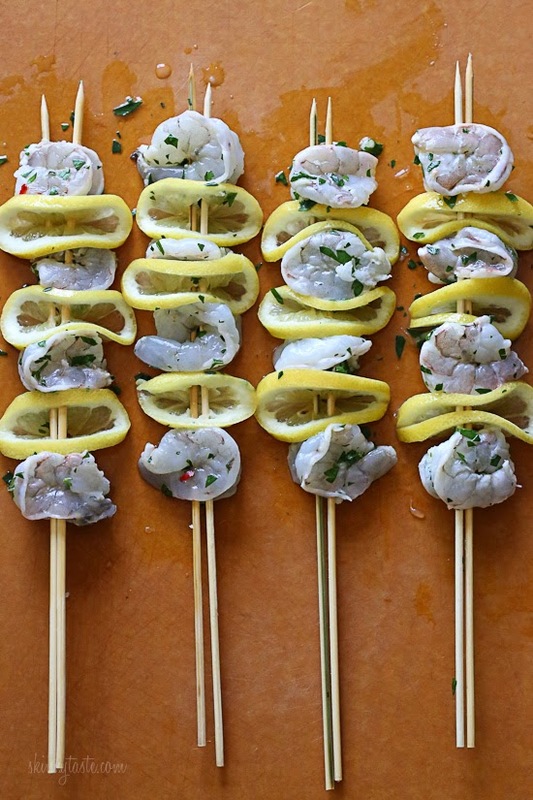 Beginning and ending with shrimp, thread the shrimp and folded lemon slices onto 8 pairs of parallel skewers to make 8 kebabs total. Clean and oil the grill grate well to prevent the skewers from sticking. Grill for 2 to 3 minutes per side, or until the shrimp are opaque. Set aside on a platter, squeeze remaining 1/2 lemon over the shrimp and finish with parmesan cheese.